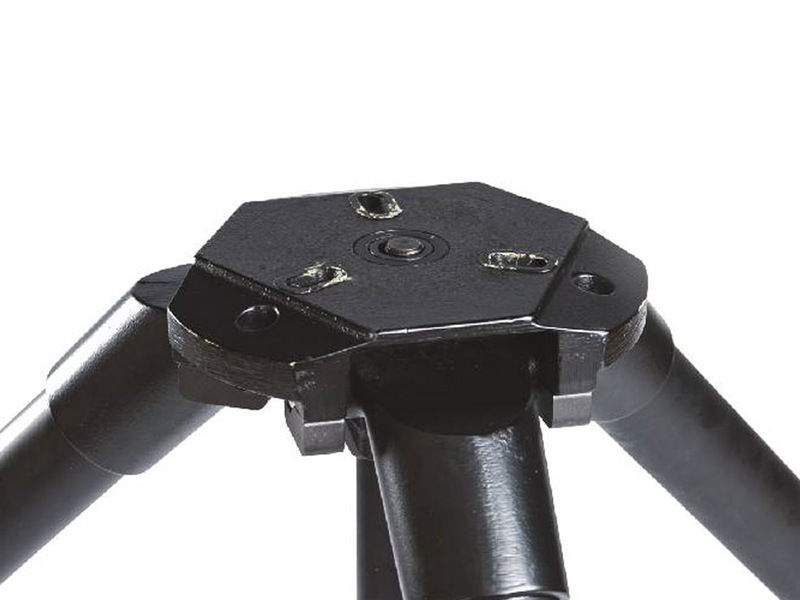 The Groundmaster tripod has been designed for heavy duty applications where stability and torsional stiffness of payloads up to 250kg is of primary importance. 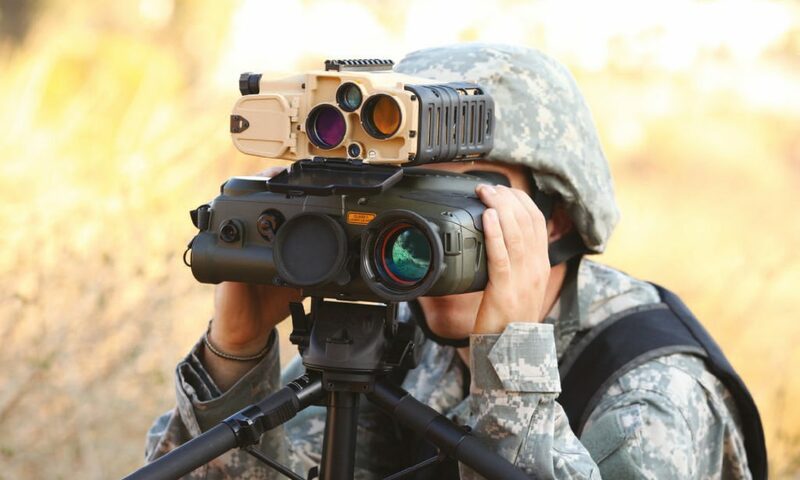 In addition to retention by the tripod’s draw bolt, payloads can be installed semipermanently using three fixing holes in the tripod head. 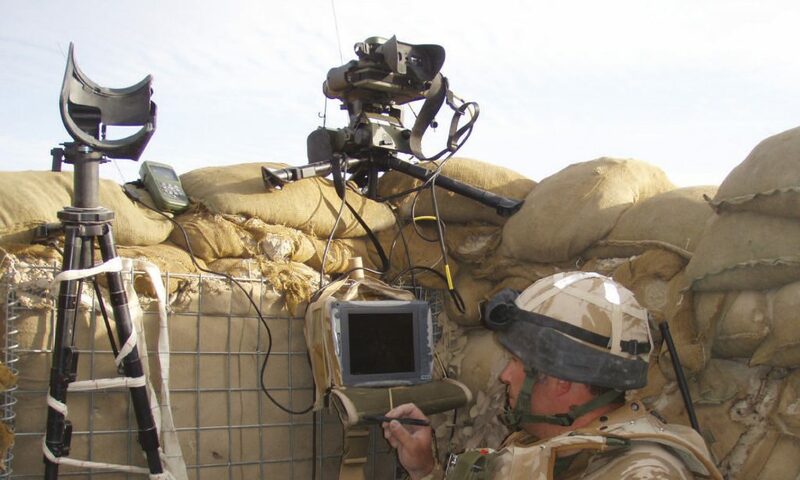 Three radial location slots in the tripod head provide additional security for rotating payloads. 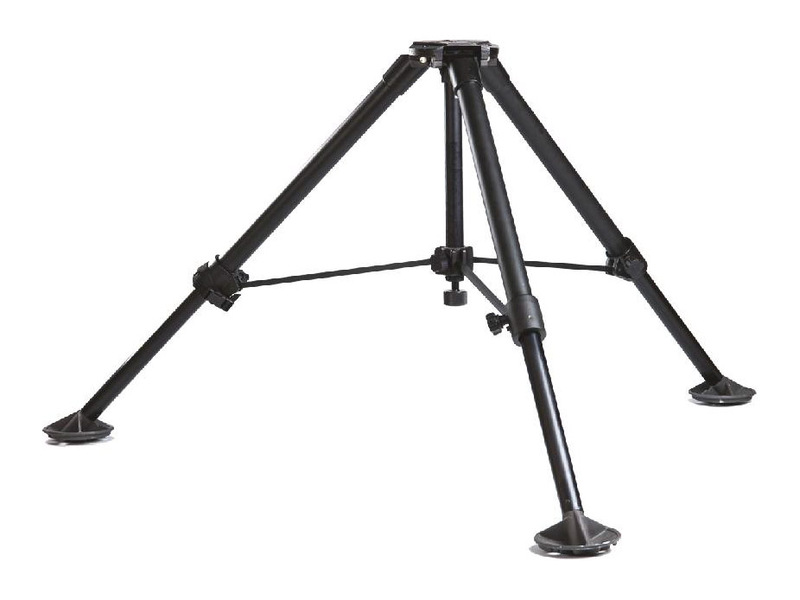 The Groundmaster tripod is of high strength aluminium and corrosion resistant steel construction featuring both ground anchor attachment points and a heavy duty cast foot design suitable for pinned and bolt down installations. Independently adjustable leg length provides a wide operational height range whilst minimising stowed length.